HarperCollins Publishers L.L.C. is one of the world's largest publishing companies and is one of the Big Five English-language publishing companies, alongside Hachette, Macmillan, Penguin Random House, and Simon & Schuster. The company is headquartered in New York City and is a subsidiary of News Corp. The name is a combination of several publishing firm names: Harper & Row, an American publishing company acquired in 1987 (whose own name was the result of an earlier merger of Harper & Brothers (founded 1817) and Row, Peterson & Company), together with UK publishing company William Collins, Sons (founded 1819), acquired in 1990. In 1989, Collins was bought by Rupert Murdoch's News Corporation, and the publisher was combined with Harper & Row, which NewsCorp had acquired two years earlier. In addition to the simplified and merged name, the logo for HarperCollins was derived from the torch logo for Harper and Row, and the fountain logo for Collins, which were combined into a stylized set of flames atop waves. In 1999, News Corporation purchased the Hearst Book Group, consisting of William Morrow & Company and Avon Books. These imprints are now published under the rubric of HarperCollins. In 2011, HarperCollins announced they had agreed to acquire the publisher Thomas Nelson. The purchase was completed on July 11, 2012, with an announcement that Thomas Nelson would operate independently given the position it has in Christian book publishing. Both Thomas Nelson and Zondervan were then organized as imprints, or "keystone publishing programs," under a new division, HarperCollins Christian Publishing. Key roles in the reorganization were awarded to former Thomas Nelson executives. In 2012, HarperCollins acquired part of the trade operations of John Wiley & Son in Canada. In 2018, HarperCollins acquired the business publisher Amacom from the American Management Association. Brian Murray, the current CEO of HarperCollins, succeeded Jane Friedman who was CEO from 1997 to 2008. Notable management figures include Lisa Sharkey, current senior vice president and director of creative development and Barry Winkleman from 1989 to 1994. In April 2012, the United States Department of Justice filed United States v. Apple Inc., naming Apple, HarperCollins, and four other major publishers as defendants. The suit alleged that they conspired to fix prices for e-books, and weaken Amazon.com's position in the market, in violation of antitrust law. In December 2013, a federal judge approved a settlement of the antitrust claims, in which HarperCollins and the other publishers paid into a fund that provided credits to customers who had overpaid for books due to the price-fixing. It was announced to employees privately and then later in the day on November 5, 2012, that HarperCollins was closing its remaining two U.S. warehouses, in order to merge shipping and warehousing operations with R. R. Donnelley in Indiana. The Scranton, PA warehouse closed in September 2013 and a Nashville, TN warehouse, under the name (D.B.A.) Thomas Nelson (which distributes the religious arm of HarperCollins/Zondervan Books), in the winter of 2013. Several office positions and departments continued to work for HarperCollins in Scranton, but in a new location. The Scranton warehouse closing eliminated approximately 200 jobs, and the Nashville warehouse closing eliminated up to 500 jobs (exact number of distribution employees is unknown). HarperCollins previously closed 2 U.S. warehouses, one in Williamsport, PA in 2011 and another in Grand Rapids, MI in 2012. “We have taken a long-term, global view of our print distribution and are committed to offering the broadest possible reach for our authors," said HarperCollins Chief Executive Brian Murray, according to Publishers Weekly. "We are retooling the traditional distribution model to ensure we can competitively offer the entire HarperCollins catalog to customers regardless of location.” Company officials attribute the closings and mergers to the rapidly growing demand for e-book formats and the decline in print purchasing. HarperCollins maintains the backlist of many of the books originally published by their many merged imprints, in addition to having picked up new authors since the merger. Authors published originally by Harper include Mark Twain, the Brontë sisters and William Makepeace Thackeray. Authors published originally by Collins include H. G. Wells and Agatha Christie. HarperCollins also acquired the publishing rights to J. R. R. Tolkien's work in 1990 when Unwin Hymen was bought. This is a list of some of the more noted books, and series, published by HarperCollins and their various imprints and merged publishing houses. Children's book editor Ursula Nordstrom was the director of Harper's Department of Books for Boys and Girls from 1940 to 1973, overseeing the publication of classics such as Goodnight Moon, Where the Wild Things Are, The Giving Tree, Charlotte's Web, Beverly Cleary's series starring Ramona Quimby, and Harold and the Purple Crayon. They were the publishing home of Maurice Sendak, Shel Silverstein, and Margaret Wise Brown. In 1998, Nordstrom's personal correspondence was published as Dear Genius: The Letters of Ursula Nordstrom (illustrated by Maurice Sendak), edited by Charlotte Zolotow. Zolotow began her career as a stenographer to Nordstrom, became her protege, and went on to write more than 80 books and edit hundreds of others, including Nordstrom's The Secret Language and the works of Paul Fleischman. Zolotow later became head of the Children's Books Department, and went on to become the company's first female Vice-President. The Chronicles of Narnia series by C.S. Lewis, while not originally published by a merged imprint of HarperCollins, were acquired by the publisher. HarperCollins has more than 120 book imprints, most of which are based in the United States. Collins still exists as an imprint, chiefly for wildlife and natural history books, field guides, as well as for English and bilingual dictionaries based on the Bank of English, a large corpus of contemporary English texts. On February 8, 2013, it was announced that some parts of the Collins non-fiction imprint would be merged with the HarperPress imprint to form the new William Collins imprint. In order to boost book sales and reach the online market, HarperCollins has created a browsing feature on its website, whereby customers can read selected excerpts from books before purchasing. There are some concerns among publishers with this approach because they feel that the online books could be exploited by file-sharing. In addition, excerpts of books are also available to mobile phone users. HarperCollins were first to market with an innovative approach to slushpile management with the introduction of the authonomy website. From 2009 to 2010, they operated Bookarmy, a social networking site. At the beginning of October 2013, the company announced a partnership with online digital library Scribd. The official statement revealed that the "majority" of the HarperCollins US and HarperCollins Christian catalogs will be available in Scribd's subscription service. Chantal Restivo-Alessi, chief digital officer at HarperCollins, explained to the media that the deal represents the first time that the publisher has released such a large portion of its catalog. The HarperCollins Speakers Bureau (also known as HCSB) is the first lecture agency to be created by a major publishing house. It was launched in May 2005 as a division of HarperCollins to book paid speaking engagements for the authors HarperCollins, and its sister companies, publish. Andrea Rosen is the director. Some of the notable authors the HCSB represents include Carol Alt, Dennis Lehane, Gregory Maguire, Danny Meyer, Mehmet Oz, Sidney Poitier, Ted Sorensen, and Kate White. HarperAcademic is the academic marketing department of HarperCollins. HarperAcademic provides instructors with the latest in adult titles for course adoption at the high school and college level, as well as titles for first-year and other common read programs at academic institutions. They also attend several major academic conferences to showcase new titles for academic professionals. HarperAcademic Calling, a podcast produced by the department, provides interviews with authors of noteworthy titles. HarperCollins announced HarperStudio in 2008 as a "new, experimental unit... that will eliminate the traditional profit distributions to authors. The long-established author advances and bookseller returns has not proved to be very profitable to either the author or the publisher. The approach HarperStudio is now taking is to offer little or no advance, but instead to split the profit 50% (rather than the industry standard 15%), with the author." The division was headed by Bob Miller, previously the founding publisher of Hyperion, the adult books division of the Walt Disney Company. HarperStudio folded in March 2010 after Miller left for Workman Publishing. HarperCollins Publishers India Pvt Ltd. is a wholly owned subsidiary of HarperCollins Worldwide. It came into being in 1992. If I Did It was a book written by O. J. Simpson about his alleged murder of Nicole Simpson, which was planned as a HarperCollins title, and which attracted considerable controversy and a legal battle over publication. In August 2010, the company became embroiled in a legal battle with the BBC after a book it was due to publish, later identified as the forthcoming autobiography of racing driver Ben Collins, revealed the identity of The Stig from Top Gear. In his blog, Top Gear executive producer Andy Wilman accused HarperCollins of "hoping to cash in" on the BBC's intellectual property, describing the publishers as "a bunch of chancers". On September 1 the BBC's request for an injunction preventing the book from being published was turned down, effectively confirming the book's revelation that "The Stig" was indeed Collins. 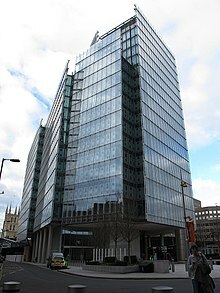 The company became embroiled in controversy in 1998 after it was revealed it blocked Chris Patten's (the last British governor of Hong Kong) book East and West after a direct intervention by the then-CEO of News International, Rupert Murdoch. It was later revealed by Stuart Proffitt, the editor who had worked on the book for HarperCollins, that this intervention was designed to appease the Chinese authorities‒of whom the book was critical‒as Murdoch intended to extend his business empire into China and did not wish to cause problems there by allowing the book to be published. Murdoch's intervention caused both Proffitt's resignation from the company and outrage from international media outside of News International. Chris Patten later published with Macmillan Publishing, initially in America, where it carried the logo "The book that Rupert Murdoch refused to publish". After a successful legal campaign against HarperCollins, Patten went on to publish the book in the UK in September 1998 after accepting a sum of £500,000 and receiving an apology from Rupert Murdoch. In March 2011, HarperCollins announced it would distribute eBooks to libraries with DRM enabled to delete the item after being lent 26 times. HarperCollins has drawn criticism of this plan, in particular its likening eBooks, which are purely digital, to traditional paperback trade books, which wear over time. In December 2014, The Tablet reported that an atlas published for Middle East schools did not label Israel on a map of the Middle East. A representative for Collins Bartholomew, a subsidiary of HarperCollins that specializes in maps, explained that including Israel would have been “unacceptable” to their customers in the Arab states of the Persian Gulf and the omission was in line with “local preferences”. The company later apologized and destroyed all the books. HarperCollins announced in January 2017 that they would discontinue selling copies of Monica Crowley's book What the (Bleep) Just Happened?, due to allegations of plagiarism. The 2012 book had lifted passages from a number of sources including columns, news articles and think tank reports. HarperCollins said in a statement to CNN's KFile, "The book which has reached the end of its natural sales cycle, will not longer be offered for purchase until such time as the author has the opportunity to source and revise the material. ^ Neyfakh, Leon (June 4, 2008). "It's Official: Jane Friedman Out at HarperCollins, Her Deputy Up 'Effective Immediately'". The New York Observer. Retrieved 26 November 2010. ^ "News Corporation Announces Plans To Acquire William Morrow & Company And Avon Books From The Hearst Corporation" (Press release). New York: News Corporation. June 17, 1999. Archived from the original on Dec 9, 2006. Retrieved August 6, 2012. ^ "HarperCollins to Acquire Thomas Nelson". Publishers Weekly. October 31, 2011. ^ Francis, Casey (July 11, 2012). "HarperCollins Finalizes Acquisition of Thomas Nelson" (Press release). Thomas Nelson, Inc. Retrieved August 6, 2012. ^ "Company Information | HarperCollins Christian Publishing". HarperCollins Company Information. HarperCollins. Retrieved 24 September 2015. ^ "Christian Publishing". HarperCollins Corporate. HarperCollins. Retrieved 24 September 2015. ^ Greenfield, Jeremy (5 September 2012). "Reorganization at HarperCollins Christian Publishing Leaves Mix of Zondervan and Thomas Nelson Execs in Charge". Digital Book World. F+W Media. Retrieved 24 September 2015. While the senior executive appointments announced today by HarperCollins in a statement come from both houses, the most important roles seem to have been reserved for former Thomas Nelson executives: the new chief financial officer, head of e-media, head of sales and head of communications, for instance, are all former Thomas Nelson executives. ^ "HC Buys AMACOM Books". PublishersWeekly.com. Retrieved 2019-04-14. ^ "HarperCollins Publishers: Leadership Team". ^ Mui, Ylan Q. and Hayley Tsukayama (April 11, 2012). "Justice Department sues Apple, publishers over e-book prices". The Washington Post. Retrieved June 1, 2014. ^ Molina, Brett (March 25, 2014). "E-book price fixing settlements rolling out". USA Today. Retrieved June 1, 2014. ^ "HarperCollins to close warehouses in deal with R.R. Donnelley". ^ Ward, Getahn (August 14, 2003). "HarperCollins Publishers to sell Nashville distribution center". The Tennesseean. ^ Milliot, Jim (May 12, 2011). "Harper, Donnelley in Wide Ranging Supply Chain Deal". Publishers Weekly. ^ Cameron, Lucinda (October 5, 2011). "Mumpreneur leads Collins English Dictionary entries". The Independent. London. ^ Farrington, Joshua (February 8, 2013). "HarperCollins merges non-fiction divisions". Bookseller. Retrieved February 20, 2013. ^ Bosman, Julie (2010-09-27). "HarperCollins to Start Conservative Imprint, Broadside Books". Media Decoder Blog. Retrieved 2019-04-03. ^ Lewis, Mark. [2002/10/03/1003harper "HarperBusiness Takes Its Own Advice"] Check |url= value (help). Forbes. Retrieved 2019-04-03. ^ "Ross Promises to Revive Collins Business". PublishersWeekly.com. Retrieved 2019-04-03. ^ Rich, Motoko (2009-02-10). "HarperCollins Restructures and Dismisses 2 Top Executives". The New York Times. ISSN 0362-4331. Retrieved 2019-04-03. ^ Caviness, Rochelle (December 22, 2006). "HarperLuxe: A New Take on Large Print". largeprintreviews.com. Retrieved 14 December 2015. ^ World Archipelago. "HarperOne: Imprint of HarperCollins Publishers". harperone.com. ^ "HarperCollins Launching a New Business Imprint". PublishersWeekly.com. Retrieved 2019-04-03. ^ "4th". HarperCollins. Retrieved January 18, 2014. ^ "HC Rebrands It Books, Renames Dey Street". PublishersWeekly.com. Retrieved 2019-04-03. ^ World Archipelago. "Search Results: HarperCollins Publishers". harperteen.com. ^ "HarperCollins Launches Rayo, Hispanic-focused Imprint". The Write News. Retrieved 2019-04-03. ^ "Whatever Happened to US Spanish-language Publishing?". Publishing Perspectives. 2010-06-29. Retrieved 2019-04-03. ^ Ha, Anthony (October 1, 2013). "With HarperCollins Deal, Scribd Unveils Its Bid To Become The Netflix For Books". TechCrunch. AOL Inc. Retrieved October 1, 2013. ^ a b McGee, Celia. "A Way to Give Authors a Lucrative Second Platform." The New York Times, 4 June 2007. Retrieved 23 February 2009. ^ Donadio, Rachel. "More Bang for the Book." The New York Times, July 27, 2008. Retrieved February 23, 2009. ^ Nawotka, Edward. "As Speakers' Bureaus Grow, Booksellers Cast Wary Eye." Publishers' Weekly, November 12, 2007. Retrieved February 23, 2009. ^ Rich, Motoko (April 4, 2008). "New HarperCollins Unit to Try to Cut Writer Advances". New York Times. Retrieved April 4, 2008. ^ Italie, Hillel (April 3, 2008). "Hyperion publisher goes to HarperCollins". Associated Press. Archived from the original on April 8, 2008. Retrieved April 4, 2008. ^ Kellogg, Carolyn (April 2, 2010). "That was fast: say goodbye to Harper Studio". Los Angeles Times. ^ "Top Gear boss lambasts Stig book plans". BBC Online. August 27, 2010. Retrieved November 26, 2010. ^ "The Stig. He's ours". Transmission. August 27, 2010. Retrieved November 26, 2010. ^ "Stig court case: BBC loses battle over Ben Collins book". BBC Online. September 1, 2010. Retrieved November 26, 2010. ^ "Rupert Murdoch Faces Authors' Revolt". Transmission. March 1, 1998. Retrieved January 16, 2015. ^ Lister, David (February 28, 1998). "Bookworm who turned". The Independent. London. Retrieved January 23, 2012. ^ "Leveson inquiry: Rupert Murdoch 'dropped Lord Patten's book to curry favour with Chinese'". The Daily Telegraph. London. January 23, 2012. Retrieved January 23, 2012. ^ "Rupert Murdoch blocked my book, says Lord Patten". BBC News. January 23, 2012. Retrieved January 23, 2012. ^ Bosman, Julie (February 27, 2011). "A Limit on Lending E-Books". The New York Times. ^ Kingsley, Patrick (March 6, 2011). "Ebooks On Borrowed Time". The Guardian. London. ^ Doctorow, Cory (March 8, 2011). "Ebooks: durability is a feature, not a bug". The Guardian. London. ^ Page, Benedicte (March 1, 2011). "Fury over 'stupid' restrictions to library ebook loans". The Guardian. London. ^ "Israel wiped off the map in Middle East atlases". The Jerusalem Post. December 31, 2014. Retrieved 31 December 2014. ^ "Publisher sets off firestorm after omitting Israel from school atlases 'to meet local preferences'". Rawstory.com. December 31, 2014. Retrieved December 31, 2014. ^ Terrence McCoy, "HarperCollins omits Israel from maps for Mideast schools, citing ‘local preferences’", The Washington Post, January 2, 2015. ^ "Middle East atlas omitting Israel to be pulped following widespread anger". theguardian.com. January 5, 2015. Retrieved January 5, 2015. ^ "HarperCollins apologises for 'offensive' omission of Israel from Atlasand promises to pulp all remaining copies". dailymail.co.uk. January 1, 2015. Retrieved January 1, 2015. ^ a b c Kaczynski, Andrew (2017-01-10). "HarperCollins pulls Trump pick Monica Crowley's book amid plagiarism revelations". CNNMoney. Retrieved 2017-01-12.